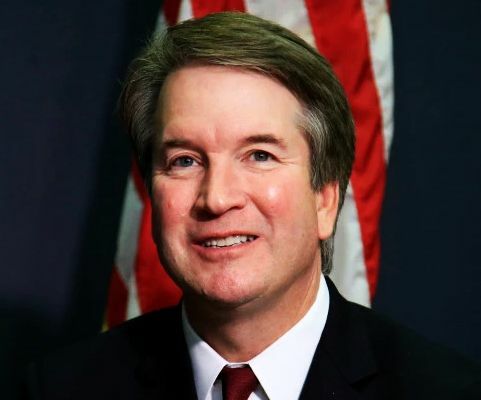 Yet, in all of the opposition to Kavanaugh, there was not one hint of any sexual impropriety of any nature until the 11th hour and 59th minute of the nomination process when all other tricks deployed by Democrats had failed to undermine his nomination. Where did due process go as Sen. Chuck Schumer declared “There’s No Presumption of Innocence for Kavanaugh?” How are we at the point that an uncorroborated, salacious allegation is all it takes to destroy a person’s reputation and launch all out attacks on their family and children and the basic tenet of our justice system is thrown into a garbage pail by Democrats? I hope McConnell keeps his word and proceeds to the Judiciary Committee vote tomorrow. I guess we’ll see how much backbone these Republicans have. Unfortunately to this date they have been absolutely terrified of the media and their Democratic puppets in the Congress. They idiotically cling to some bizarre expectation that the media will treat them ‘fairly’ and won’t call them mean names if they bow to the pressure on the left. We’ll see how it goes, Craig. But if any conservative expects any fairness from the lamestream alphabet media, they are going to be very disappointed. I was hopeful that Katy Sword coming on at the Lazy C might the beginning of some objectivity, but of late it seems she is just another leftist writer with a target on the conservatives. Odd how we see them giving Antifa a pass and continually pointing to the right as the violent ones. I can guess what the reaction of the media would be if the people on the right were chasing people out of restaurants. Those people are nuts! The mentality of the “resistance” is one of being at war. Sadly the Senate Republicans are hoping that a sane version of Democrat leadership may yet prevale, and are thus allowing this travesty to play out. That is my .02 dollars worth, for if that is not the case then we are indeed at engaged in a most uncivil civil war, one in which no Lee or Grant will appear to save our hides but plenty of John Brown’s and kkk like clowns to fill the the tabloids with fear and loathing pieces. It is the curse of Representational government that there are times when good people must, simply put down the revolution and get on with civil discourse. Whatever you do, don’t fire till you see the whites of their lawyers teeth.